Long awaited and highly anticipated, the next generation entry into the Monster Hunter franchise is nearly upon us. Monster Hunter: World releases January 26, 2018 to World Wide audiences on the Playstation 4 and XboxOne gaming consoles being a fifth-generation game in the Monster Hunter series of games. New to this iteration is drop-in cooperative multiplayer gaming which rages across all regions, no more having to import the game from another region to play with a friend in Japan or Europe, and implementation of a living, breathing ecosystem which has the scenery and terrain dynamically changing while playing. I find it fascinating how the gaming industry, producers, and developers have adapted their business strategies so that their companies, and what they produce, remain profitable with the ever growing demand that is put upon them by consumers. However, to be fair, these demands are only reflected by what is most likely to entertain the customer and keep them coming back for more, such as post launch content. 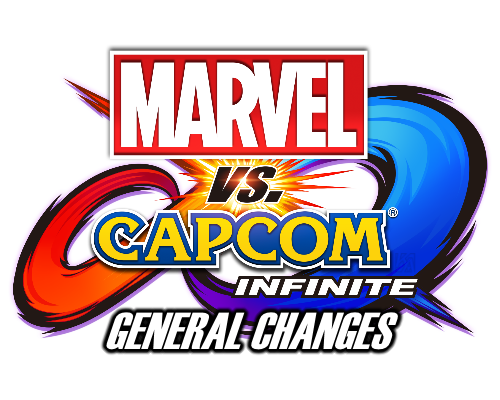 Additionally, many games now must feature some sort of multiplayer or competitive environment and some developers are rethinking how to offer AAA single player experiences. Monster Hunter, like other 4 player coop RPGS, remind me of Phantasy Star Online and its successor Phantasy Star Online 2. These games, come to think of it games like Destiny and Dragon Ball Xenoverse, all have internal rewards based off completing missions or defeating enemies which drive retention and keep players coming back for more. 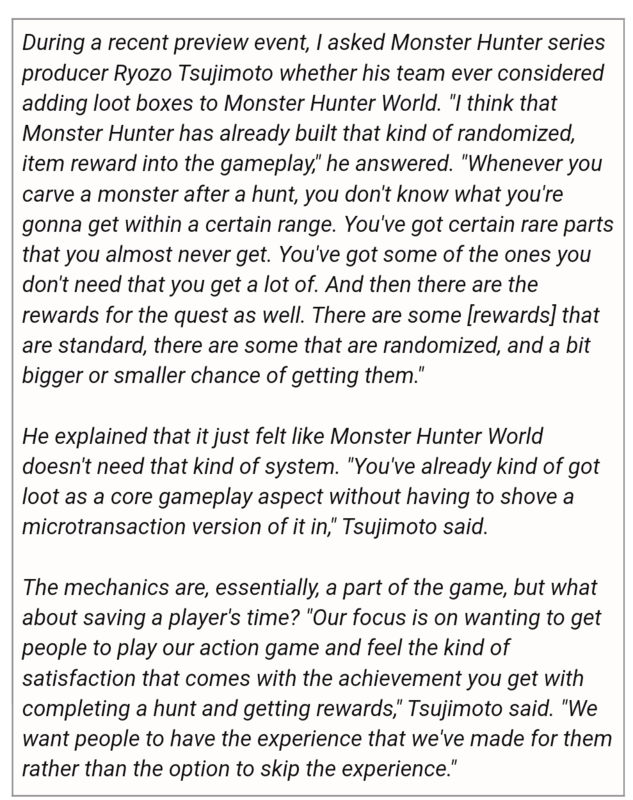 A system introduced into a game, microtransactions based on improving stats or chances for crafting weapons or other rare drops would eventually split the player base into groups of who can afford to collect more vs those who cannot. This isn’t even factoring in if the game has its own in-game economy. Ultimately, micro transactions that are based in anything aside from in-game skins, which usually don’t effect gameplay, should be discoraged by developers and gamers alike. But that’s just my honest opinion.